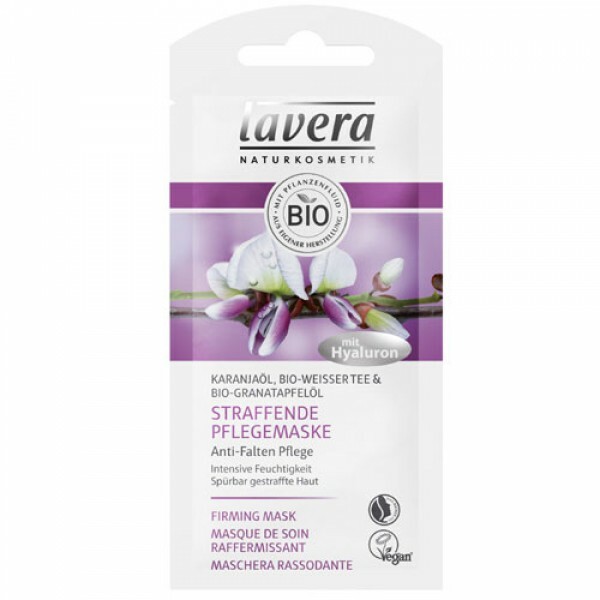 Firming mask with anti-ageing ingredients. Organic White Tea and precious organic oils of Karanja and Pomegranate intensely hydrate and nourish mature skin. The rich, skin regenerating formula smooths your skin noticeably and acts naturally against premature skin-ageing.